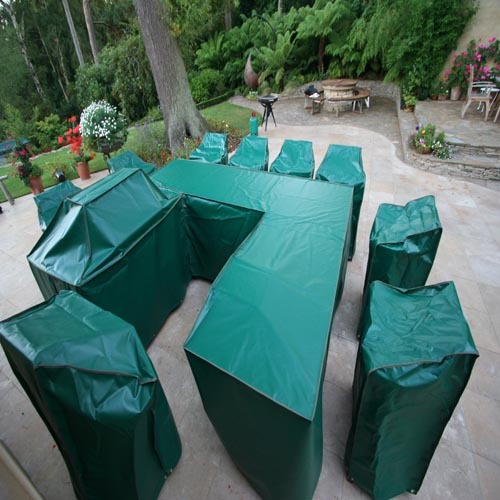 Kitchen barbecue cover manufactured complete with zips in all the area's to gain access to the compartments when the cover is on. Velcro and zips to make it easy to get the cover on and off. Top quality textile manufactured in Germany supplied to Kover-it who manufactured the bespoke cover for a perfect fit. The cover and cost is just a guide for a typical unit of this kind of size. The textile can be use in hot countries and is good for sea front conditions as it is a structural Pvc. A cover designed to last many years.